When you have structural walls and partitions intersecting in your model, it is important to get their intersections looking correct. Revit will always try to join your walls together and usually the resulting intersections is shown correct graphically, in the case of structure and partitions this is where the ‘Disallow Join’ tool can give you a preferred result. 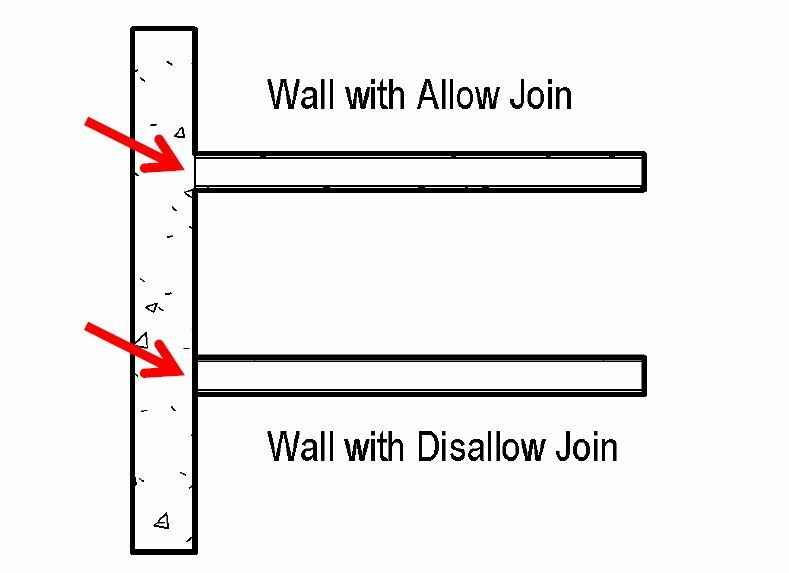 The example below indicates graphically when the walls are automatically joined and when the partition has had the ‘Disallow Join’ applied. To use the ‘Disallow Join’ just select the wall and right-click on the dot at the end and you will have an option to ‘Disallow Join’. 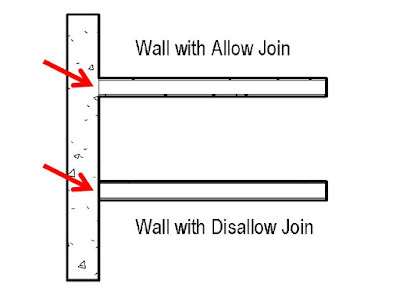 You will notice that the intersection of the joined walls results in a change in line weight of the structural wall at the intersection, this is not desirable. When the partition has had the ‘Disallow Join’ the structural walls line weight is continuous and graphically gives the desired result. So, the moral is to always check the graphical output of your model and don’t settle for what Revit applies automatically.